Cafe Olé is more than just a restaurant. It’s a bona fide cantina. Sure, the Southwestern and Tex-Mex cuisine is superb (their white queso, for instance, is addicting and they’re always adding creative new menu items), but it’s the drinkables that make Cafe Olé stand out. On a nice night, their open-air patio with the fireplace makes a top shelf margarita even more delicious. If you try the Prickly Pear, you’ll be wanting another one. If brunch is your thing, the Southwest Quiche, Queso Blanco or the Huevos Del Consortium will take you into a perfect weekend afternoon. They have eight fantastic Morning Glory drinks to choose from, including the classic mimosa, bloody mary, sangria, and what they call a Mango Margarita — a combination of tequila, vodka and papaya juice. Lastly, coffee, either decaf or regular, will turn your morning-after gray skies blue. Brookside is one of the best places in Tulsa for dining, entertainment, night life, shopping, or just plain ol’ people watching. So many of the restaurants and shops are one-of-a-kind experiences. Tucked away on 35th Street, just off Peoria Avenue is one of the best and most unique of Brookside’s offerings: Cafe Olé. There’s a lot to love about Cafe Olé — its casual, fun feel; that fantastic patio; the authentic, fresh Mexican cuisine; the great service; the endless chips and salsa; and so much more. Part of its charm is the feeling that it’s your own little secret place. It’s not really a secret, though. 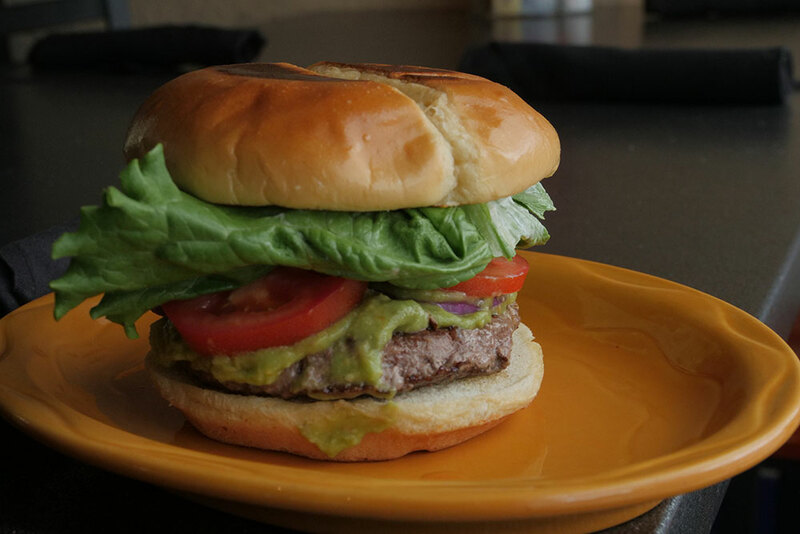 Since 1986, Cafe Olé has won recognition in Tulsa by way of awards, including the 2016 Taste of Brookside, and many “best of” lists for margaritas, brunch, and authentic Mexican dishes. 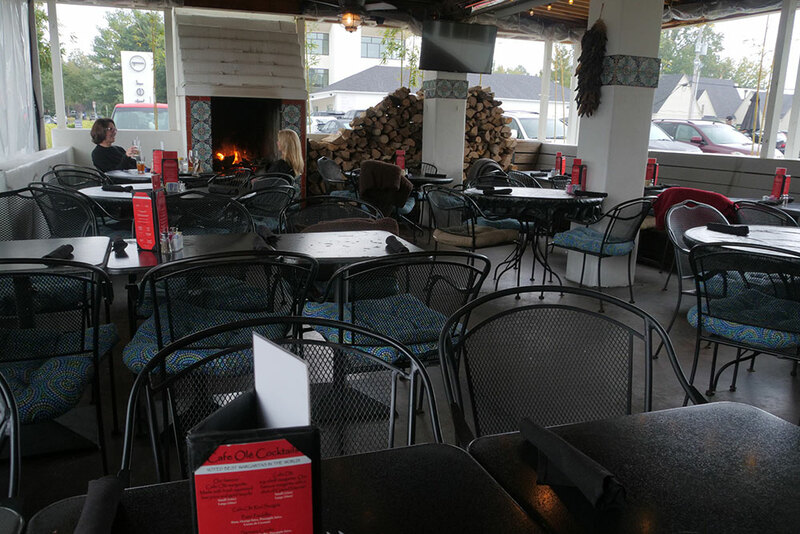 If it’s your first visit, you might be taken aback by the cozy dining area. There are just a few tables, with a host stand and the window into the kitchen. There’s so much more to Cafe Olé beyond the front door, though. One doorway leads to a long, narrow dining area with booths that look out over a pretty green lawn. The other doorway leads to the patio. If the kitchen is the heart of a restaurant, the patio is Cafe Olé’s soul. “The patio really drives Cafe Olé,” says Jones. It’s what gives Cafe Olé that unique vibe, that feeling that you are someplace special. A fireplace reigns over the east end of the patio, keeping things warm even when the weather’s chilly. There’s plenty of seating available, near the street, near the fireplace, or near the lawn. Clear curtains help keep the heat out in summer or keep it in during winter. “People sometimes wait an hour and a half for the patio. You’re got to feel it. You’ve got to be here. It breaks all the rules,” says Jones. 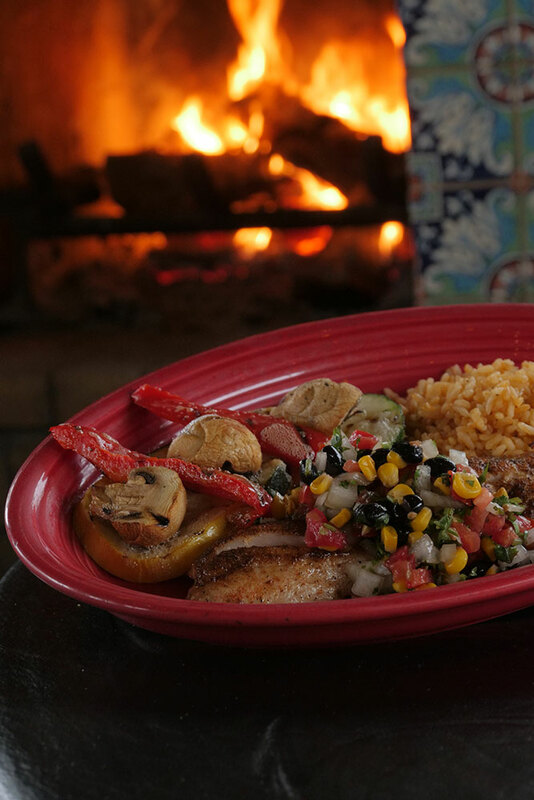 Authentic Southwest cuisine, and a great view of Brookside. What could be better? In addition to lunch and dinner, Cafe Olé offers weekend brunch. Your choices range from hearty huevos rancheros to sweet French toast with seasonal fruit, whipped mascarpone, and Mexican cinnamon. Choose a filling queso blanco omelet, shrimp cocktail, or a trendy grilled avocado with an egg nestled in the middle. Enjoy your brunch in style with a mimosa or bloody mary. On Tuesday nights, Cafe Olé goes to the street. 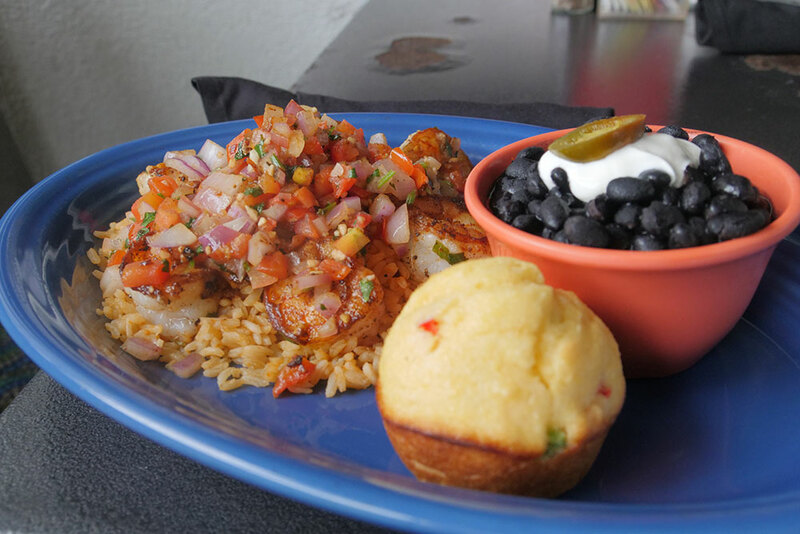 Tin Pan Tuesday is Cafe Olé’s take on Spanish, Mexican, and Native American street food. And with items priced at $2 each, you can mix and match and share all night. Street tacos, empanadas, sopes, tamales, and more are waiting for you 4-9 p.m. The most popular dish on the menu is the fajitas, for good reason. The sizzling skillet full of beef or chicken (or both) is served along with grilled onions and pepper, all the fixings, and a Jack cheese enchilada. The street tacos are another favorite, with a choice of chicken, beef, pork, or shrimp topped with fresh cilantro, onions, rice, and beans. You can taste how fresh the street tacos are. The pan-seared red snapper is not just a healthy choice, but a delicious one. 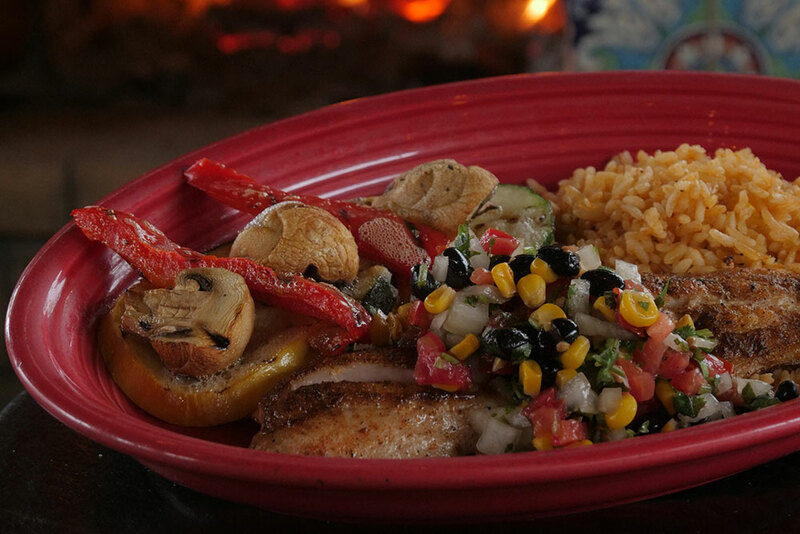 It’s served with grilled fresh veggies, topped with seasonal salsa and cooked to tasty perfection. You can also try it blackened. 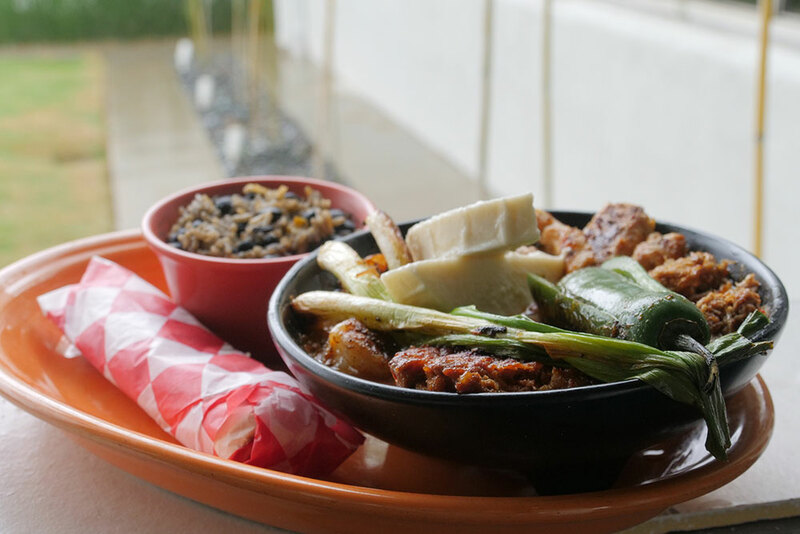 A unique choice is the molcajete: a generous bowl filled with grilled pork, shrimp, and chicken, with roasted chile sauce, and gallo pinto. Thick slices of queso fresco rest atop this hearty and feisty dish, served with tortillas. Another popular and unique dish is the Albondigon de Cabrito, Cafe Olé’s take on meatloaf with beef and cabrito, with cheese, chile mashed potatoes, and sofrito sauce. Stop in for lunch specials Tuesday through Friday. You can choose from $6, $7, or $8 lunch combos ranging from a chicken quesadilla or Southwest turkey sandwich, to a salmon Caesar wrap or a plate of Albondigon de Cabrito. You can finish off your lunch or dinner with one of Cafe Olé’s fantastic desserts. Lemon bars and chocolate chip cookies are always solid choices. At the same time, the Key lime pie is a must try with its perfect balance of sweet and tangy. “And we’re bringing back our chocolate tres leches cake” says Jones. 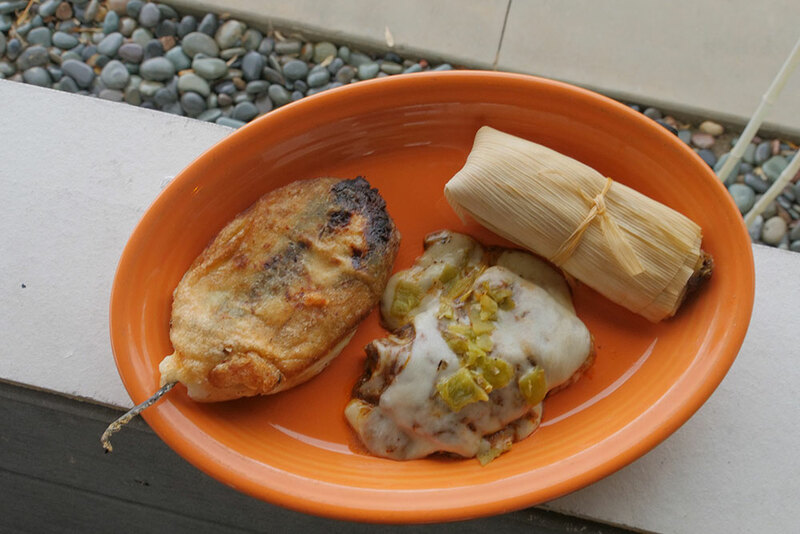 If you’ve got a holiday to celebrate, consider Cafe Olé’s tamales by the dozen. You can choose cheese, fire roasted pork, Chile verde chicken, or roasted chicken de ranchero. Besides being fresh and delicious, Cafe Olé’s menu is loaded with vegetarian and gluten-sensitive options — just look for the symbol on the menu.